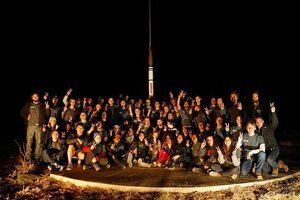 The University of Southern California Rocket Propulsion Laboratory (USC RPL) has posted the results from their recent launch of their Fathom II vehicle from Spaceport America in New Mexico. The Fathom II vehicle was confirmed to have reached an altitude of 144,000 feet (43.98 km) on March 4, 2017. USC RPL now is the record holder for the highest altitude achieved by a wholly student built and launched rocket. USC RPL has been working hard over the years to reach this plateau of success. 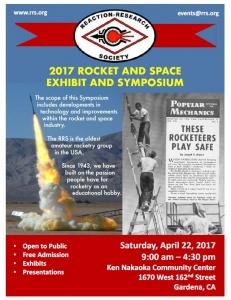 USC has conducted many tests and even launched some of their early vehicles from the RRS Mojave Test Area. 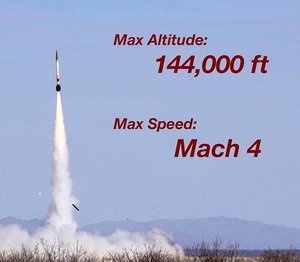 Next stop will be USC building and launching their larger full-scale SpaceShot vehicle to cross the von Karman line of 100 km altitude (328,083 feet 3 inches). The RRS congratulates USC on this stellar accomplishment and we hope to hear all about it at the RRS symposium at USC’s presentation in our speaker series, Saturday, April 22nd. The symposium is open to the public at the Ken Nakaoka Community Center in Gardena, CA. Well done, USC! This entry was posted in Uncategorized and tagged Fathom II, Spaceport America, symposium, USC by Dave. Bookmark the permalink.